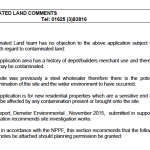 Due to the potential contamination historical use of the site (builders yard) and the sensitivity of the proposed development a Phase I desk study report was required to support the application for the redevelopment of the site. The history of the site was determined using Ordnance Survey maps dating back to 1871 as well as aerial plates and street level imagery. The review indicated the site was developed prior to the 1871 map, no information on the uses of the buildings were given until the 1986 map when the site was occupied as a depot. 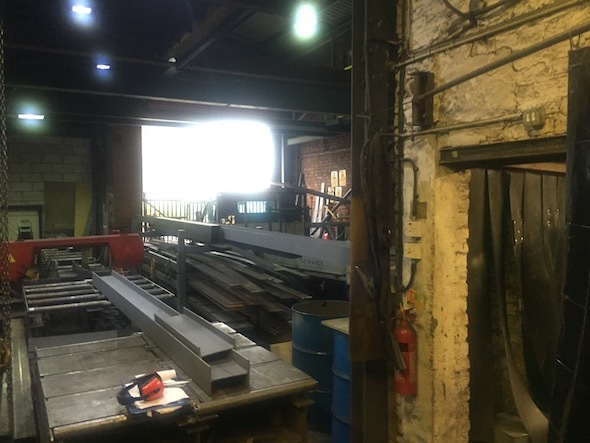 A number of off site potential sources of contamination were identified (including a timber yard, sand pit foundry and garages). Data provided by the Environment Agency and Ground sure did not identify any further potential sources of contamination. 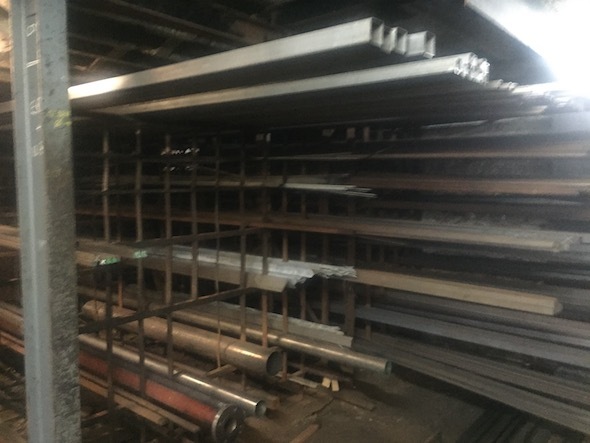 On completion of the desk based review a site reconnaissance visit was undertaken, it was noted that the site was being used as a builders merchants and a workshop. 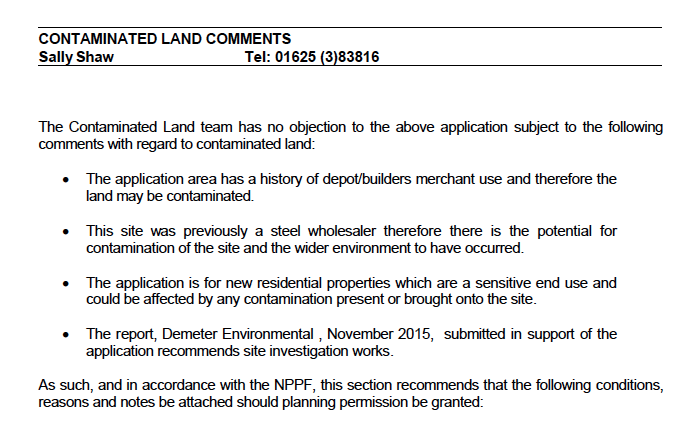 A qualitative risk assessment was undertaken on the potential sources of contamination identified in the desk study report, which concluded that the use of the site as a depot and workshop, as well as the nearby garage and foundry have the potential to impact on site soils, hence further intrusive works were proposed. The desk study is presented with the documents associated with 16/0763M as well as the memo accepting the report and the recommendations for further works.